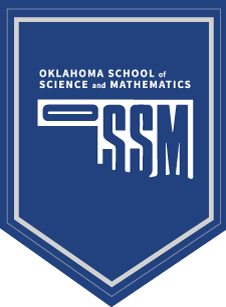 The Oklahoma School of Science and Mathematics, a public, selective and residential school for mathematically and scientifically inclined high school juniors and seniors drawn from throughout the State of Oklahoma is inviting applications for the position of the Vice President of Academic Services. The individual will work closely with the school’s president and have broad responsibilities including but not limited to those listed below. Supervise the faculty (including fulfilling annual state personnel evaluation requirements). Convene regular department meetings; review curriculum offerings of each department; monitor how courses are taught and graded to ensure consistency; meet regularly with individual faculty; assisting the president in the recruitment and hire new faculty. Formulate the academic calendar on an annual basis and the master class schedule on a semester basis for each of the six grading periods. Interface with parents regarding student academic issues. The Vice President for Academic Services interfaces with parents on residence life issues and student non-academic issues. Work with the Dean of Students on handling student disciplinary cases. Work with the president on the academic operations of OSSM Regional Centers. Work with President and other staff on academic outreach programs (specially with underserved populations such as rural and inner-city communities). Other duties as assigned by the President. A distinguished record of professional success. Hands-on experience as a school administrator or in performing administrative and management responsibilities. An understanding of, and experience with, the unique nature of a residential environment for adolescents. Excellent interpersonal skills and ability to skillfully work with different constituencies: students, parents, faculty, staff, members of the legislature and of state government, and leaders of other educational entities and institutions. Willingness to work long and odd hours (outside the typical school day including early mornings, evenings, weekends and some holidays). Willingness to be “on call” around the clock. Strong academic credentials with a minimum of master’s degree; PhD preferable. Competitive and commensurate with credentials.